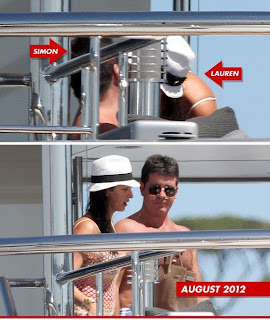 GoXtra News: Mr. 'X Factor' Simon Cowell accused of BANGING a friend's WIFE! Mr. 'X Factor' Simon Cowell accused of BANGING a friend's WIFE! According to reports Simon Cowell's FORMER good buddy claims Mr. 'X Factor' was sticking it to his wife before they parted ways, and that’s why he's accusing Cowell of adultery. 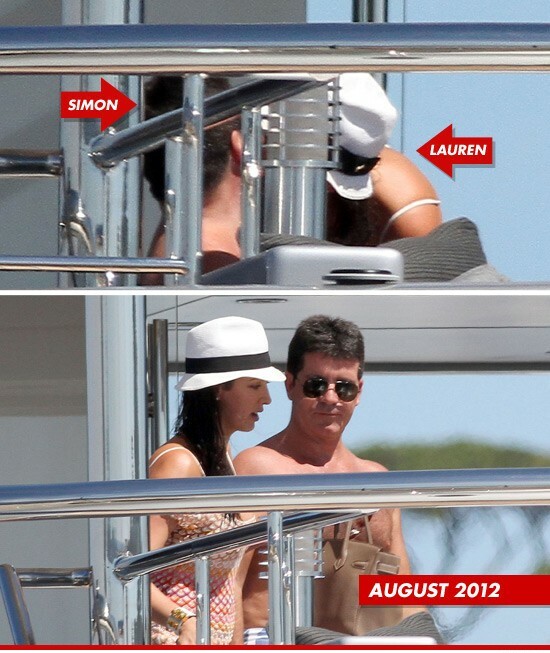 There's some proof to back Andrew -- photos (right) of Lauren and Simon kissing during a yacht vacation a year ago. it is reported that Andrew just wants out of the marriage and away from Lauren and Simon, and he's willing to settle custody and financial issues quickly. For now, he's asking for full custody of their 7-year-old son, but it appears from what we know that's a negotiable point. A source close to Lauren revealed to TMZ that Lauren and her husband were over before she and Simon entered into any kind of relationship. Simon Cowell is a homewrecker; at least according to his good friend who filed divorce papers accusing Simon of banging and then knocking up his wife DURING their marriage, reports cite. Andrew Silverman has filed divorce docs in New York and he's alleging ADULTERY in seeking to end his marriage to Lauren Silverman, who is believed to be pregnant with Simon's child. In New York claiming adultery is like a legal nuclear weapon; if proven, the cheating party (and Simon) can be forced to take a DNA test, something that's hard to get in New York when a couple is married and the wife gets pregnant. In the docs, Silverman, the plaintiff, lists Lauren as a defendant and Cowell as a co-respondent. Andrew doesn't pull any punches in the divorce papers, saying, "The nature of this action is: to dissolve the marriage between the parties based upon (1) the commission of acts of adultery by the defendant and (2) defendant's cruel and inhuman treatment of the plaintiff." Andrew is also seeking sole custody of the couple's 7-year-old son, and wants the judge to approve the couple's pre-nup they signed back in 2003.